Most of the browns we are catching are post spawn right now, but we should see some bigger specimens headed upstream around Christmas. In the meantime, we're definitely catching most of our browns over deep water where they seem to be actively searching for baitfish. 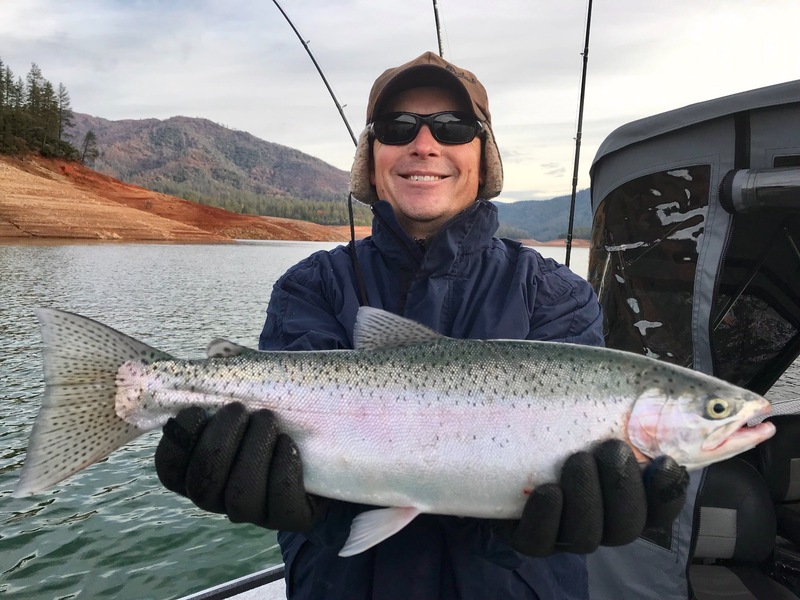 Today we fished Shasta Lake and as usual we were targeting some bigger fish. Trolling big Optimizers and Bay Rats will draw some big bites, and you'll likely see fewer bites than you will trolling smaller presentations. There were a lot more boats than I'm used to seeing on the lake today, but I guess thats what we are encouraging when writing positive fishing reports. Shasta Lake has some cold water entering the lake from its tributaries and I gauged the McCloud arm above Hirz bay to be in the 54 degree range. I've run down past 100' and the temps are quite similiar throughout that depth range. 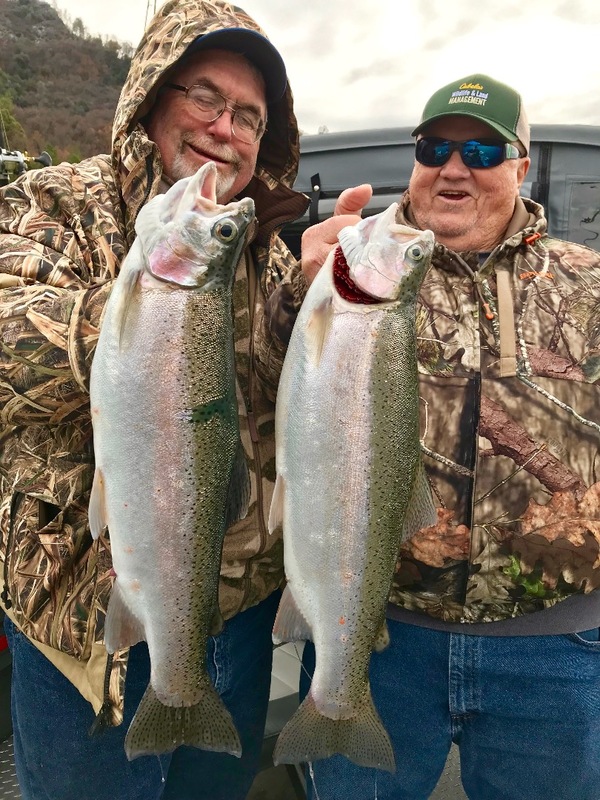 The fishing remains pretty good overall and the trout seem to be hanging out in smaller areas. Covering lots of water isnt really a good strategy right now. It seems like staying on the fish will yield more action this weekend if thats what you are looking for. I have noticed that a lot of anglers are dragging side planers now and thats great, but I want to warn against running them too far from the boat for the time being. 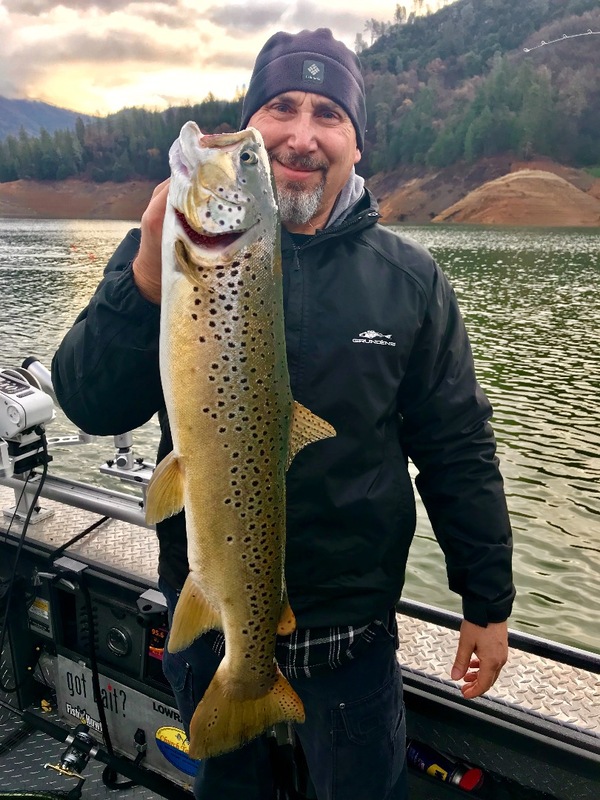 Side planers have not been used extensively in the past on Shasta Lake and other boats, especially bass boats, are not used to seeing them. In fact, I would venture to say that not everyone will even know what they are. I've had side planers run over already this year and with fast moving tournament bass boats running up and down the lake nearly every weekend, its going to continue to be something to watch for. So for now, don't assume other boat drivers will notice them right away, they are still new to most anglers who use the lake. C'mon down to brown town!